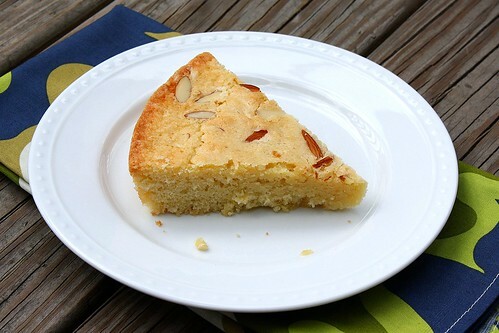 This week’s Tuesdays with Dorie was chosen by Nancy of The Dogs Eat the Crumbs: Swedish Visiting Cake. Through TWD I’ve discovered some terrific blogs and found so many friends who share my passion for baking/cooking. I’m happy to count Nancy among those friends. She’s a genuinely nice person and a fabulous blogger – her posts are always so detailed and she’s quick to offer tips/advice via Twitter whenever I ask. So, even though the last thing we needed around here was another dessert, I couldn’t skip Nancy’s pick. Fortunately, her selection couldn’t have been easier to make. 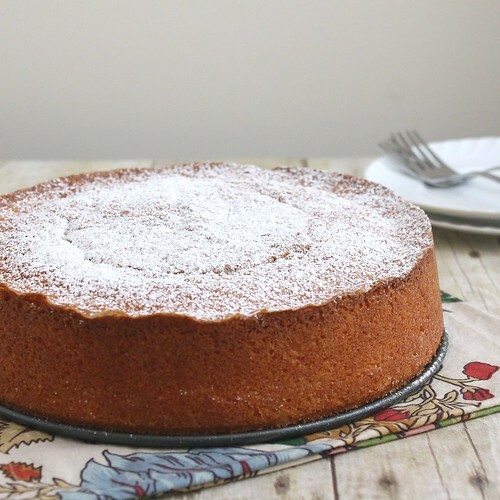 In fact, Dorie mentions that this cake is so quick that supposedly you could start making it when you saw visitors coming up the road and have it finished by the time they arrived at your home. I’m not sure it was quite that quick, but it definitely ranks among the easiest recipes we’ve made from Dorie’s book. It can basically be made in just one bowl (if you ignore the bowl you use to melt the butter) with a whisk and a rubber spatula and since I started my cake Sunday night at 10:30 pm, that was a very good thing! 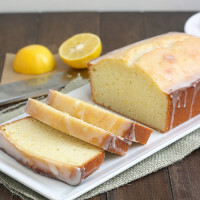 The ingredient list is short and includes sugar, lemon zest, melted butter, flour, eggs, and both vanilla and almond extracts (though Dorie notes that the extracts are optional – I used both). The recipe calls for baking the cake in a 9-inch cast iron skillet, but my only cast iron skillet is 12 inches so I just used a regular 9-inch cake pan. Sliced almonds are sprinkled on the cake before it’s baked, but I only had whole almonds, so I did my best to slice them as thinly as I could. I think this cake would have been impossible to turn out of the cake pan so I just left it in there and cut slices as necessary. Since there is no leavener in the cake, it bakes up fairly thin and falls in the rustic category for me. 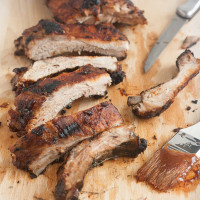 It’s wonderfully moist and chewy, and dense – but in the best possible way. I’m not a big fan of almonds but there’s almost no flavoring I love more than almond extract, which I acknowledge is somewhat weird. I’ve found it rare to include almond extract in a dessert and not have it play a starring role and that was certainly the case here. The almond is definitely the prominent flavor in the cake though I could also detect the lemon hanging out in the background. 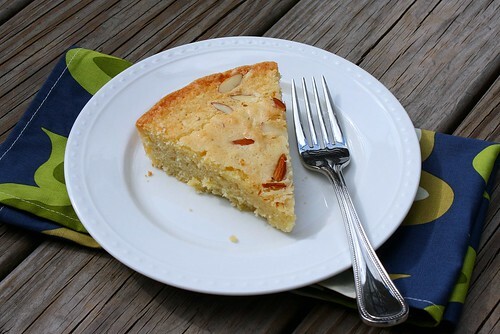 The only thing I didn’t love about the cake were the almonds I sprinkled on top – I picked them off before eating my slice and wouldn’t include them next time. I would have skipped them entirely, but I knew the cake would photograph better with them on there and I’m not above including garnishes just for photos. I gave most of the cake to my mom and she commented that it might be her number 2 favorite recipe – so high praise all around on this one! Thanks, Nancy, for a great pick this week! 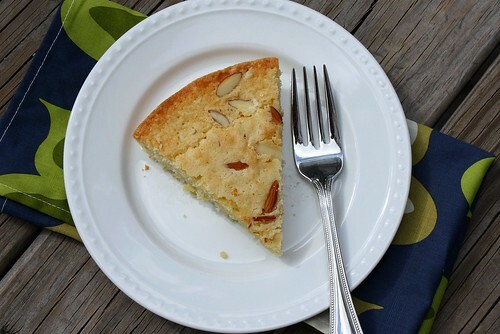 You can find the recipe for the Swedish Visiting Cake on Nancy’s blog or on page 197 of Baking: From My Home to Yours. 46 Responses to "TWD: Swedish Visiting Cake"
I think this was just about the simplest and easiest and best-est (is that a word?) cake out there. It looks like Spring “visiting” weather outside! The cake looks wonderful – you’ve made it so nice and even (mine was kind of well… not flat). But very good – it’s a favorite cake now! That looks so easy and so good. Gotta make it now. Beautiful cake – oh the things we do for garnish! Nancy picked a great one. Our posts sound very similar! 🙂 Your cake looks great. I thought the almonds on top added to the overall flavor and texture and couldn’t imagine it without them, but may try it just to see how it would be. Cool napkin in the photograph! Your cake does look lovely! Your cake looks gorgeous and your photos are beautiful. I love almond flavoring as well but am generally not a big nut fan at all. And yes, it strange!! 🙂 My whole family really loved this cake — glad your mom enjoyed it! Looks great, Tracey! We loved this too. Almond extract is so wonderful. Lovely pics, like always! I don’t know why I haven’t made this one yet. I love almonds. It has been on my list for a long time. I will be trying it soon now! Your cake looks perfect! 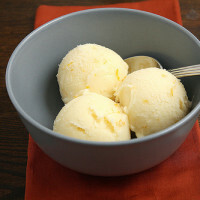 I loved the almond and lemon mix. So fresh tasting! Beautiful cake. I agree about almond extract – it’s just about my favorite flavor-in-a-bottle. Thanks for joining me this week; it’s always a pleasure to bake along with you. I love almond extract too. Your cake looks gorgeous! Very nice! Im glad you enjoyed this recipe Tracey. It sure looks great! It’s nice your mom liked it so much too! I LOLed about including garnishes for the sake of photography. I think every food blogger would agree that we all do the same. I was even gonna slice up some lemon to put on top but got lazy. Unfortunately laziness wins over the photography. HA! Glad you and your mom enjoyed the cake. It’s definitely a keeper! Lovely cake! I also enjoyed the combination of flavours. 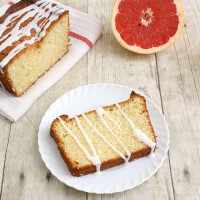 This is the perfect cake: easy to put together, ingredients are easy to get your hand on, only one bowl to wash up, hardly any time in the oven and an amazing taste! Ow and most important of all: it looks pretty too!! Came out beautifully. It looks delicious sitting on the plate. So much dedication to using something you don’t like just for TWD! You rock! I upped the almond in mine and loved the extra flavor. I love the ease of this dish! It seems very versatile as well. I’m kind of feeling like an idiot now that everyone is saying how easy this one was and I didn’t make it. Yours looks gorgeous as always! I’m glad I didn’t skip. Great cake that disappeared quickly at our house! You are absolutely right that the cake is impossible to remove from the pan. I tried, and the cake broke, which is why I ended up grabbing random bites of it over the course of a few days, instead of cutting nice slices for dessert. it’s so pretty and golden! 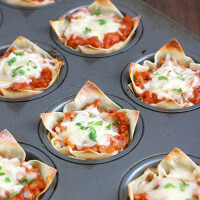 and looks super cute served from the pan, so i wouldn’t even think about turning it out! What a great cake. Yours looks wonderful. This one was a success for everyone. Great job on your cake! It looks delicious! Food from Scandinavia is SO not made enough in America. I’d love it if you would follow my project. It is titled “Peasant Girl” and features my attempt at changing the eating habits ingrained in me as a modern American woman. Beautiful cake, Tracey! I’m glad you enjoyed it as much as I did. With that incredibly rich SMS chocolate cake, we really didn’t need another dessert either, so I told Josh he could eat the Swedish Visiting Cake for breakfast this week. i loved this cake, too. the almond extract definitely gives it a lovely flavor. 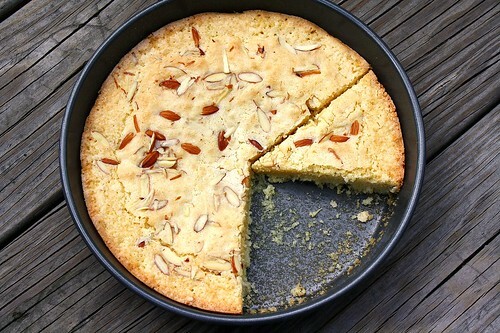 Love the golden color and the unblanched almond pieces on top. Glad you enjoyed it. Your pictures are so pretty! I love that blue and green napkin that you have under the plate. I’m glad that you enjoyed this cake. I liked the almonds, but I’m a big almond fan. I bet that this cake would be just as good with just sugar on top, though. Ciao Tracey ! A great pick indeed ! I love your pictures !! Lovely cake, Tracey! I agree that the almonds make it look better but it would be fine without them. You cake looks great! The almond extract overpowered the lavender I added to my cake. I should have left it out. Next time. I love your pictures in this post. I got the cake made, but haven’t done the post yet. 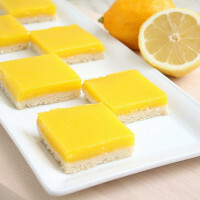 If you’re looking for an alternative garnish to the almonds, I drizzled mine with lemon glaze (juice from the lemon I zested plus some powdered sugar). Oh, and I was able to turn my cake out of the pan without a problem. You know, in my brain this was a one bowl recipe, and I completely forgot about the bowl I melted the butter in! Crazy! I guess subconsciously I really wanted this to be a one bowl recipe. But as you say, either way it’s easy. I’m so glad that you enjoyed this – we loved it here. I think it’s great that you are not above using garnishes for photos – we have to make those kind of sacrifices for our art, right? Your pictures, of course, are gorgeous as always! I love the photos of your cake! It looks perfectly rustic on your wooden table! And I can’t believe you sliced whole almonds yourself – how do you do that? Yipes. 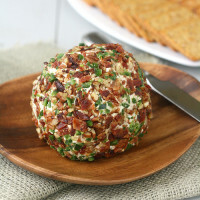 I loved this recipe, so simple but such a big taste! Perfection indeed! I could make this way too often…it was definitely one of my Top Five. Maybe even Top Two actually…that Lime Meringue Pie is hard to beat. Yours looks beautifully delicious. I’ve been hearing only raves for this cake!! It looks delicious! 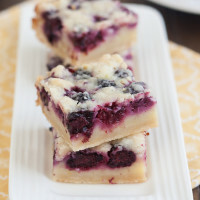 I saw this recipe in “All Cakes Considered” and I LOVED it! 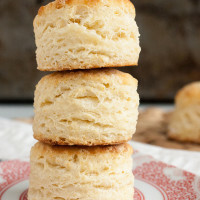 It really is so easy to make and it’s delicious! I don’t think it lasted more than 2 days in my apartment!